Natsu's little sister waited for years for her brother to come back for many years. What happens when shes in the games while trying to keep her secret. Will her secret be found out? While the games are happening she run into a certain blondie. Imagine waking up in a new world, with nothing but your name to guide you, that is the story of Y/N. A girl who ended up in a entirely different world, with no memories but her name. When her past comes back to haunt her, will she rise to the occasion and fight for her new home? Or succumb to the injuries of her past? Copyright notice: I DO NOT own Fairytail or any of the characters. All rights to the original creators and companies. Y/n is a young singer and the sister of Natsu. She was a member of Fairy tail but was never around because of her singing life. But she decided to take a break from it and went home. What she didn't know was that a tournament for strongest female wizard was about to go down. She is unsure of whether or not to take a part of it. Especially since she is the Time and Sound Dragon Slayer. She meets a blonde guy named Sting. The only other person that knows her power is her brother Natsu, she comes across a tough situation and doesn't know if she should use her power. Sting starts to feel something for her. Will she fall for him? Or will her power only put them in danger? ~Sting seems to hate the girl known as (Y/n). (Y/n) loves the boy known as Sting. My Promise "Sting X Reader"
I don't know but why does she look like that pink haired freak we know, said rouge. Hey girl who are you and why are at our guild,sting yelled! Oh I'm sorry let me introduce myself, my name is Y/N Dragneel and I'm here to join the guild. Everybody's mouth dropped as I said that. What did I say something wrong, she said in an innocent voice. Rouge she's gonna be an interesting one isnt she, sting asked rouge. Yes I believe you are right sting. 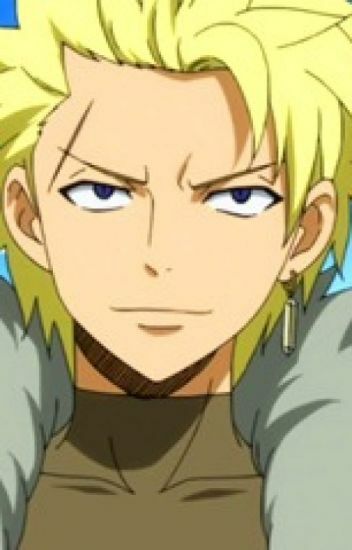 Hey everyone this is gonna be a sting X reader and you are Y/N Dragneel and yes your are Natsu's sister but you'll find out why your not with him later on. (Y/N) Alberona, she is Cana's twin sister. When they were kids, (y/n) got separated from Cana before they joined fairy tail. (Y/n) was taken in by a dragon Achnologia, he taught her all the magic, the year x777 he disappeared, (y/n) found herself stumbling into fairy tail a month after natsu joined. Cana and (y/n) found each other. (Y/N) got granted as a s class wizard when erza became one. She took a five year job at the age of 15. She came back 3 years later right before the 7 year event. Then at the grand magic games, (y/n) meets sting, they hate each other instantly but can hate turn into something else? You're a Sound Dragon Slayer called (Y/N) and you're Natsu's adoptive sister since adoptive mum, Melidia is Igneel's sister-in-arms. While preparing for the Grand Magic Games, you meet two dragon slayers from Sabertooth, Sting Eucliffe and Rogue Cheney. You develop feelings for Sting. Natsu left the guild for a year to train and get stronger, but that was right before the guild disband, what will (Y/N) do next? Just your average Sting X reader. Hehe..
All art and videos are not mine! I'm so sorry if this is bad and I apologize for all the spelling errors ?